The Delaware Indians were nomadic and often inhabited the Yorktown area. The early settlers in Yorktown found the tribe to be friendly and accepted their helpful offers of trading goods and giving guidance for planting crops. Since it contained two bodies of water, Yorktown was a natural choice for the location of a mill. Oliver H. Smith platted the original "Town of Yorktown" in 1837. The main business district was never more than two and a half blocks long, but throughout the years other businesses built along the main street outside of the original area. 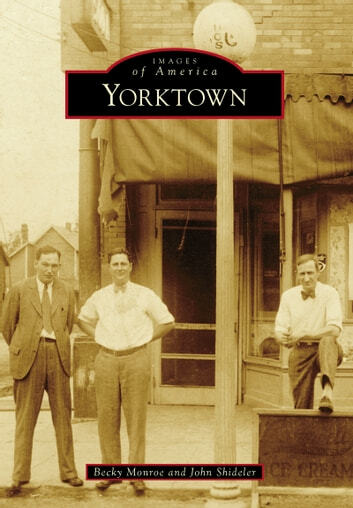 For many years, Yorktown was a farm-based community. Later, families depended on local industry as a means of support. Recently, the boundaries have grown to such an extent that Yorktown now includes the entire Mt. Pleasant Township.